If you have foamy urine, it could be a sign of a condition called proteinuria. Proteinuria* happens when your kidneys let protein leak into your urine. Your kidneys are responsible for cleaning extra fluid from your blood and preventing your body from losing protein. A small amount of protein in your urine is not uncommon, but a larger amount could be a sign of kidney disease. If proteinuria is not treated, it can lead to worse kidney damage and, over time, kidney failure. Symptoms of proteinuria are not always apparent, but foamy urine and swelling in your hands, feet, or face are common. If you notice that you have frequent foamy urine, do not hesitate to visit the medical professionals at FastMed. Is Foamy Urine a Cause for Concern? FastMed has on-site labs that enable us to test your urine for signs of infection or kidney problems. Kidney disease does not have early symptoms, but one of the first signs could be proteinuria. If a FastMed physician determines your foamy urine requires the treatment of a specialist, we can set up the appointment for you. 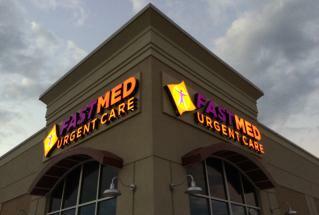 Call FastMed Urgent Care and see how we can help!